Montaire Summerlin - An immaculate backyard is a real gem, featuring lush green landscaping and patio, making it an ideal space for entertaining! MLS#2090409. Huntington & Ellis, A Real Est. Talega At The Vistas - Master can be your own mini penthouse with balcony & spa like master bath! BEST IN CLASS! MLS#2090353. Realty ONE Group, Inc.
Summerlin Village - All in all a great home. MLS#2090046. Simply Vegas. Master suite features stunning spa like bath & french doors with access to the backyard where you can enjoy the outdoor kitchen, salt water pool/spa w/ solar heating & mountain views MLS#2085306. BHHS Nevada Properties. Enjoy golf, social events, and other fabulous neighborhood amenities. MLS#2088082. Innovative Real Estate Strateg. Sun Colony At Summerlin - Updated & Upgraded, Well Designed '6110' Model, Mountain Views From The Front, Approx 1719/Sf, 2 Bed, 2 Bath, Den, Great Rm W/ Wood Ceiling, Kitchen W/ Stainless Appliances, Granite, Maple Cabs, New Luxury Vinyl Flooring T/O, Crown Molding, Alarm, Shutters, New Paint, New Washer/Dryer/Laundry Sink, New Fans/Lights, New Refrigerator/Range, New Fully Fenced Rear, Faux Sod, Cov Patio, 2 Car Garage W/ Golf Cart Area/Cabinets/Epoxy Floors, And More! MLS#2090111. Award Realty. Chardonnay Summerlin - All The Extras! Beautifuly Landscaped And Meticulously Maintained. MLS#2089370. Queensridge Realty. Summerlin Village - Granite Counter Tops,Large Eat At Breakfast Bar,Custom Cabinets,S/S Appliances,Dbl Oven,5 Burner Cook Top,Stone Kitchen Sink,Pantry,Crown Molding Thru-out,Surround Sound, Upgraded Tile & Carpet Through Out,3 Bedrooms Plus A Den W/ A Closet Could Be 4th Bedroom.Master Bed W/Walk-in Closet,Bathroom W/Large Shower & Sep. Bathtub, Dbl Sinks, Cozy Back Yard W/Extended Covered Paver Patio & Fire Pit. MLS#2090218. Simply Vegas. Sun City Las Vegas - Totally Renovated San Marino**Superior Condition**2BDRMS/2BA/Office**Full Length Patio Cover**Two Tone Paints**Hard Surface Flooring in All Traffic Areas**Sculpted Carpet in BR’s**Quartz/Stone Tops Throughout**New Appliances/Lighting Fixtures/Plumbing Fixtures**New Shaker Cabinets**Custom Four Seat Island**Walk in Shower**Dual Vanity/Make Up Vanity**Closet Allowance**Nothing Untouched** MLS#2088458. Realty ONE Group, Inc.
Summerlin Village - Plantation Shutters * Large Living Room W/ Fire Place* Tiled Master Bedroom* Huge Rear Yard W/ Real Grass! MLS#2090332. Key Realty Southwest LLC. Summerlin Village - Second bedroom has its own attached bathroom for a duel master like setup. MLS#2088215. BHHS Nevada Properties. This home is truly one of a kind. ONLY ONE HOA FEE MLS#2089940. Show Vegas Realty. 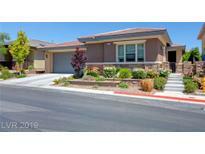 Fallbrook Summerlin - Nice Backyard With Sparkling Pool, Ready For Summer Fun! ! MLS#2088563. Cofield Real Estate. Summerlin Village - Ceiling Fans Throughout!Minutes to Downtown Summerlin & all the best of Summerlin living! MLS#2090012. Urban Nest Realty. Summerlin Village - Hurry come see before it's gone! MLS#2088990. Real Estate Consultants of Nv. Summerlin Village - Don't miss this. Come see! MLS#2089063. Real Estate Consultants of Nv.